Ghouls and goblins…witches and fairies, it is time to celebrate the spookiest day of the year! 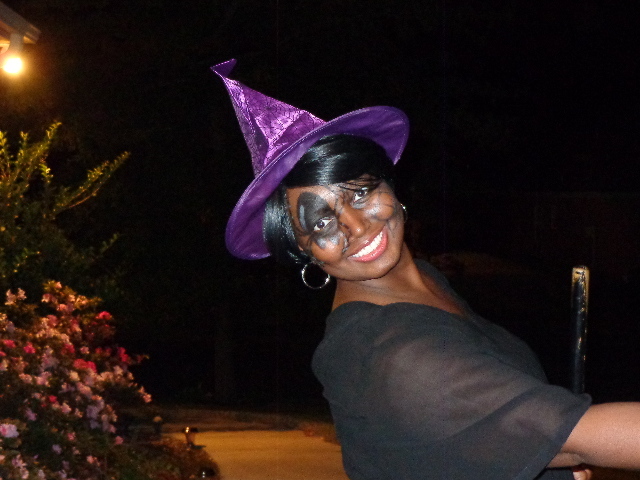 I will admit, I am not a big Halloween person but I do love the costumes and the candy and I like a good party. So when the Fairmont Hotels – San Francisco contacted me and asked me to give my take on Halloween fashion, i didn’t hesitate to take the challenge. Sadly, I am not in Cali so I will not get to take part in what is called the biggest Halloween blowout around, but since I am a fan of the Fairmont Hotels, I said why not! I decided to look in my closet for a quick get-up and I had just the look in mind – ALL BLACK! But I needed something else. So I went to Youtube and Pinterest and found some great photos of creative yet easy makeup tips to turn any look from drab to fab. 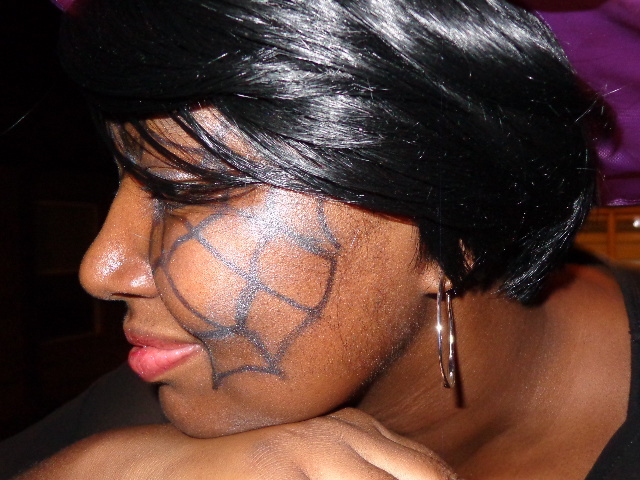 I was torn between a cute feline, a skeleton and spider webs. I am sure you have some black on your closet and can pull together a look in a matter of minutes. 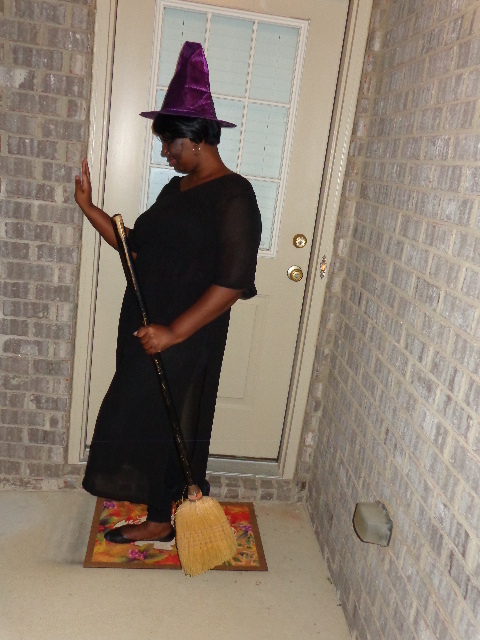 I chose a black sheer duster from Ashley Stewart, a black tank and black leggings. 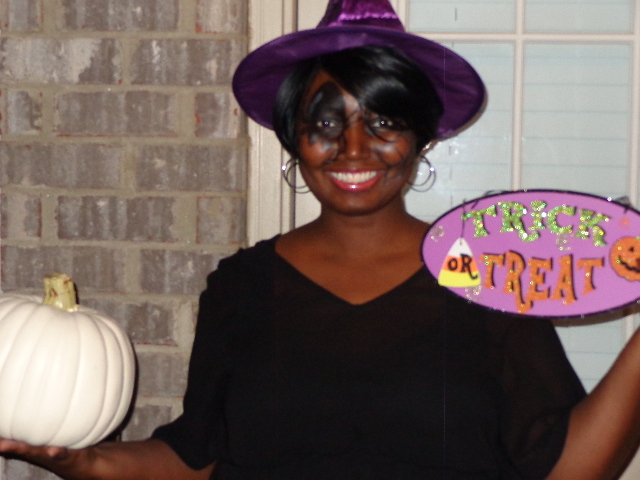 And to top it off, I picked the hat up from the Dollar Tree after work today, along with the makeup. I spent a grand total of $5.00. So dust off your wings, sharpen your fangs, let’s make it a thriller. And if you are ever looking for a great hotel to stay at that is luxurious and sophisticated and fun and relaxing wrapped into one, check out a Fairmont Hotel. 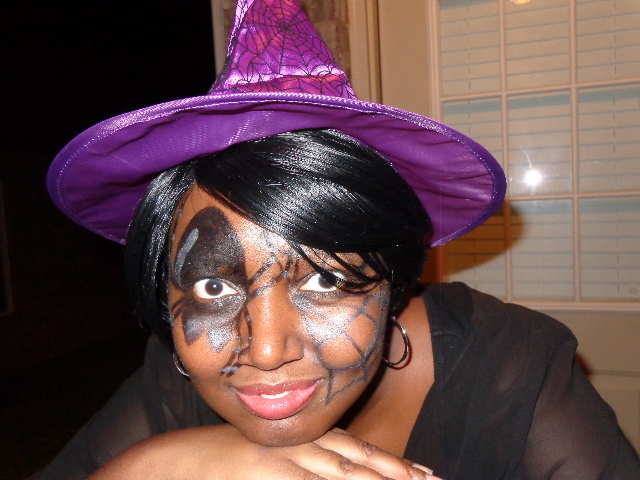 I would love to see your chic Halloween looks. Connect with me on Instagram. Tag me at @sizablechic.